In a huge win for protectors in the anti-gas fight, a tribunal of international legal experts has delivered a scathing report on fracking, arguing the unconventional gas and oil drilling method is a human rights violation. The lorry-surfing protest happened about half a mile from Rathlin Energy’s West Newton-A site at about 10.30am. At the time of writing, the action was continuing. Humberside Police said a 43-year-old man has been arrested on suspicion of a road traffic offence. Another man has since been arrested. 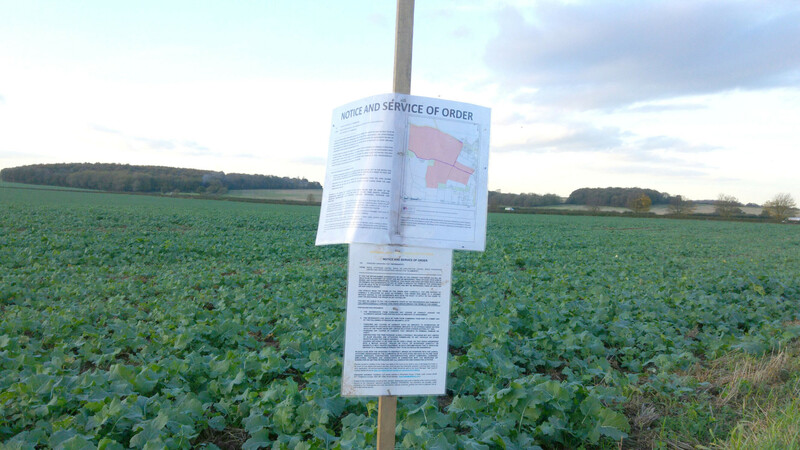 The company has said current regulation, called the traffic light system, makes shale gas commercially unviable. It is based on the magnitude of tremors and requires fracking to pause if it induces seismicity measuring 0.5ML or above. “I can’t trust adults to act responsibly any more” – Teenagers block fracking seminar. Six young people have blockaded a fracking seminar in London on Thursday. 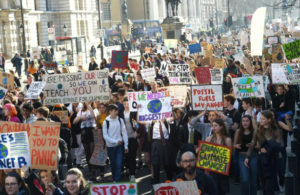 The protestors, aged between 15 and 24, locked themselves together outside the event on the “unconventional oil and gas market in the UK”. 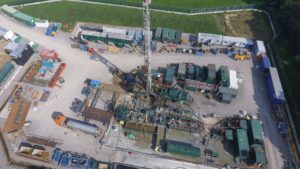 The event promised to “assess the next steps for overcoming barriers to the commercialisation of domestic shale into the UK energy mix”. Three law lords this morning granted an appeal brought by Joe Corre and Joe Boyd. In a reserved judgement, Lord Justice Longmore, Lord Justice David Richards and Lord Justice Leggatt ruled that sections of the injunction, first granted in July 2017, were unlawful. 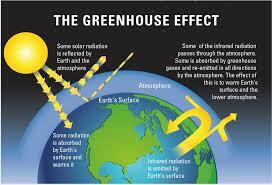 The case could have implications for similar, injunctions granted to four more oil and gas companies. 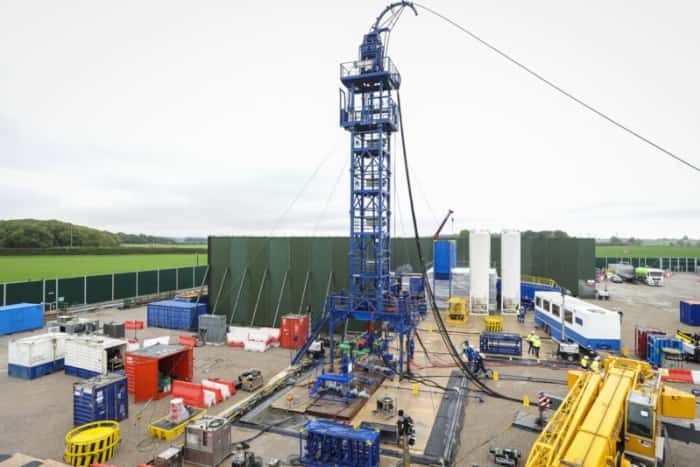 Two-thirds of the UK’s first horizontal shale gas well was not fracked during a nine-week operation last autumn, according to reports that the company, Cuadrilla, tried to keep secret. The documents reveal that the Preston New Road site near Blackpool experienced mechanical problems and lost equipment. They show that quantities of frack fluid used in the operation were too low to qualify for the legal definition of associated hydraulic fracturing. 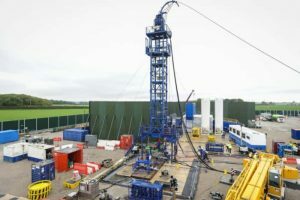 They also confirm for the first time that a majority of earth tremors around the site were on days when fracking was carried out. Children, deeply troubled by the environmental catastrophe that humanity faces, walked out of their classrooms and on to the streets, demanding that governments take action on the climate crisis. Labour plans to amend new climate change legislation at the Scottish Parliament, including looking at writing in a fracking ban. The Climate Change (Emissions Reduction Targets) (Scotland) Bill will face its first parliamentary hurdle at a Stage 1 debate at Holyrood on Tuesday.